This week I wanted to share some videos, music and tips to help anyone starting to learn about jazz. There are a lot of words to describe jazz. Bebop. Swing. Hard bop. Big band. Cool jazz. Avant-garde. Free jazz. Dixieland. The list goes on. But what unites all these forms of music, is the emphasis on improvisation - or spontaneously composing. Much of jazz has a swing pattern - swing is a type of offbeat rhythm. You can feel swing when you listen to the music of Count Basie, Ella Fitzgerald and Benny Goodman. Watch Jazz Fundamentals: What Is Swing? Jazz was popularized as a dance music, much like hip hop is today. The rhythms allowed people to dance to the Lindy Hop, Charleston and tap. After watching the dancers, notice how Count Basie's band melds swing, dance and improvisation. To understand where jazz came from, start by listening to the blues. The blues can be many things: a form, a sound, a style. Regardless, the blues utilizes call and response, a cornerstone of jazz. Now listen to the jazz blues, "Tenor Madness." Notice how the musicians take the same blues you heard above, yet they add new material to it. Notice the call and response, and the trading between each instrument. One of my tips for learning about jazz is to start with just one jazz musician that you know. Maybe you love Louis Armstrong. See who he played with. 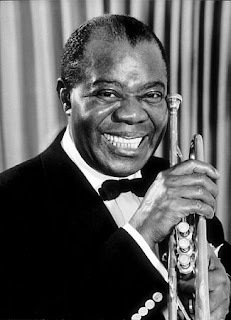 Maybe you will notice Louis Armstrong had an album with Ella Fitzgerald. Then look up Ella Fitzgerald. Then you might see Ella Fitzgerald had an album with Duke Ellington. Who was in the Duke Ellington Orchestra? Clark Terry was in the Duke Ellington Orchestra. Well, Clark Terry mentored Miles Davis who led many of his own successful groups. This way of connecting the dots between musicians and eras helps create a bridge between past and present. Regardless of when you started to listen to jazz, getting back to basics helps bring clarity to our current knowledge. If you want to learn more about jazz, here are five jazz musicians to "connect the dots" with: Charlie Parker, Billie Holiday, Miles Davis, Duke Ellington and Sonny Rollins. Comment down below what you learned from seeing the connections between artists.